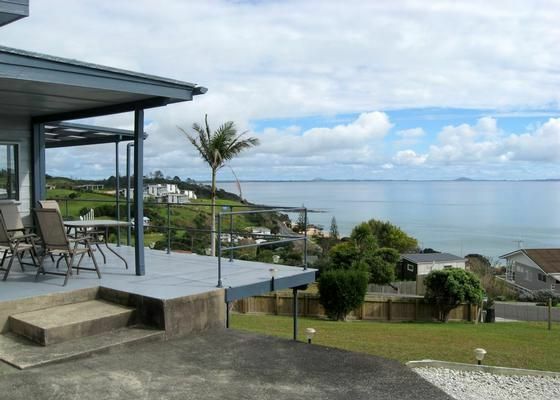 The Wrathall family were amongst the first European settlers in Doubtless Bay. Mangonui Streets and historic buildings bear their name. After many prosperous years, when the whalers moved on and the demand for kauri gum waned, the family and their business interests moved to Auckland. Generations on, the Wrathall’s connection with their family’s Northland heritage remained. In the early 1950s a section near the top of Cable Bay’s Seaview Road was selected as the site for the family’s new holiday bach. Although no longer owned by the original Wrathall settler family, several years ago they faced a dilemma. Bulldoze the old bach and build a grand house like the homes it sits amongst or work with the shell of the 50’s place? A place loaded with memories of laughter, tall fishing tales and sweltering family Christmases. Fortunately she wasn’t flattened but she is a shadow of her former self. The practical aspects of the design were retained. Original features were given a new life. The character hasn’t been filled and sanded out of the repolished native timber floors. The gutted bach interior was rebuilt with appointments you might expect to find in a modern apartment. With details that hark back to the 50’s like quality vintage furniture recovered in fresh modern fabrics. There are clip on transparent vinyl panels to child-proof the deck railings. 60 years ago, the site for The Family Bach was selected for 2 reasons. It was a short safe walk from the ice-creams and pink sand of Cable Bay and had a grandstand panoramic view out over sparkling Doubtless Bay. That hasn’t changed. There’s a flat screen Freeview TV, unlimited wireless broadband, modern appliances, chrome and glass bathroom and crisp clean linen. But there is also a really neat original Kiwi bach feel to The Family Bach too. I’m sure you’ll sense it. Really enjoyed our stay here. Nice and private and 10/10 view from the deck of the beach. Nice house and very well managed by David. Would definitely think about staying here again! Amazing location, comfortable beds, cozy bach. Lovely house with beautiful view in a really nice area with good fishing.The owner was friendly and couldn't be easier to deal with.Will definitely be keen to go again soon. It was a pleasure to host Shaun's group. They were respectful of the property and left it in great shape. We would be delighted to see them back for another visit. The perfect holiday, everything we needed and loved being able to have our wee dog with us. The perfect holiday, everything we needed and loved being able to have our wee dog with us. Very cool cottage with magnificent views and all very comfortable and clean. Lovely NZ bach in a beautiful part of the world. Lovely NZ bach in a beautiful part of the world. Had everything you needed plus the bonus of being able to take our choc lab. He loved it. Will visit again.